Several teams began to leave the NBL for the BAA as the foundation for an absorption was laid. 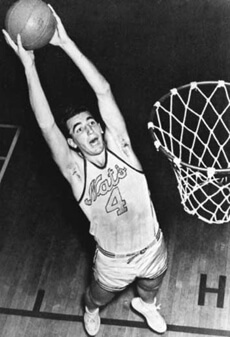 Staying in the NBL, the Nationals signed Al Cervi to be player coach as Dolph Schayes made his professional debut, leading the Nats to a winning record for the first time with a record of 41–22. In the playoffs the Nationals would make quick work of the Hammond Calumet Buccaneers, winning the series in 2 straight games. However, in the semifinals the Nats would fall to the Anderson Duffey Packers for the second straight season in 4 games. In 1949, the Nationals were one of seven NBL teams that were absorbed by the Basketball Association of America to form the NBA.